Have you noticed how everyone seems to be talking about adaptogens? 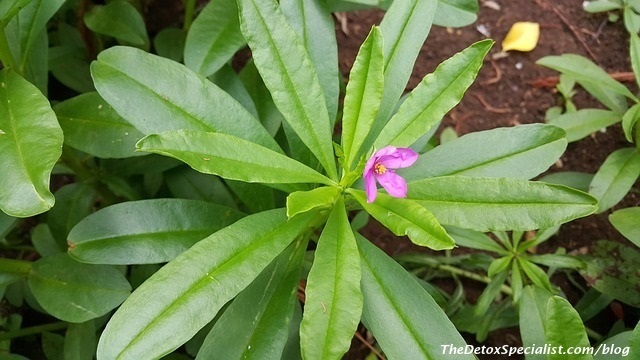 Adaptogens can be a useful addition to your detox diet as some of them can help support the liver and the immune system as well as boost your energy. Adaptogens, in case you don’t know, are special plants that help us adapt to our environment, aiding us in how we respond to and manage stress. They have been part of the Ayurveda and Chinese herbal practices from ancient times – dating back thousands of years. You’ve probably heard of Ginseng, the most common adaptogen. Some of the other better known ones are Ashwagandha, Astragalus, Eleuthero (Siberian ginseng) and Cordyceps, a medicinal mushroom. The word ‘adaptogens’ got its name around 1947 from Dr. Nikolai Lazarev, a Russian scientist. He wanted to find certain substances that would help the body to be able to adapt to emotional and physical stress. In ancient times, people would look to plants to get better, passing down the knowledge from one generation to the next. When become stressed your hypothalamus gland, located in the center of your brain, releases CRH (corticotropin-releasing hormone). CRH then travels to the pituitary gland where it is triggered to release ACTH (adrenocorticotropic hormone). ACTH travels through the bloodstream to the adrenal glands which are located on the top of your kidneys. There it triggers the release of cortisol, aka ‘the stress hormone,’ from the adrenal gland cortex. Put simply adaptogens have normalizing effects on the body, supporting the adrenal glands – glands which produce adrenaline as well as cortisol when we are under stress. When the adrenal glands are activated constantly by hectic, stressful lives, they are said to become “exhausted” or “fatigued”. Conventional medicine does not recognize the condition. 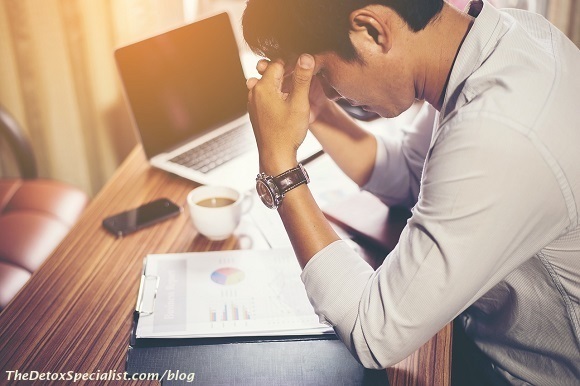 There are many Functional Medicine doctors and other health practitioners who do not like to use the term adrenal fatigue as it may not really be the adrenal glands that are fatigued. They figure that it’s more likely that stress has affected the hypothalamus so that CRH is not produced. Naturally, we want to live less stressful lives – who doesn’t – right? But in today’s world, it is becoming quite hard. Thank goodness then for adaptogens which can help us to bounce back from constant stress and strain on our body, enabling us to get better sleep, better focus, improved memory, and more. All adaptogenic plants have unique plant-based chemicals which help to steer the body to function normally. The components that promote healing vary from plant to plant. They must be safe and non-toxic. They must have a broad scope of benefits that will improve the immune system and not just help with one symptom. They are used to increase energy and endurance; they help with balancing hormones, particularly the hormone cortisol. The detailed science around adaptogens is extremely fascinating and continues to grow. The most important thing to remember is that adaptogens are wonderful food secrets that help people to maintain balanced lifestyles and which if you seek them out, can help you. Knowing a bit of background on each of the adaptogens helps when you choose herbs for a particular ailment, providing information about the culture, the history, and customs that bring herbs to life. Although the published scientific studies about adaptogens is limited, those who swear by them allege that they do what they say they will do and that is to improve energy levels, elevate the mood and even add luster to your skin and hair. Ginseng – This is the most common adaptogen. It is known to be beneficial for cancer; it has anti-inflammatory and anti-fatigue benefits, as well as diabetes. Eleuthero – There is evidence of this herbal plant being used over 2000 years ago in China, mostly in traditional medications. It acts as a stimulant, helping to increase the functioning of the nervous system. It also increases stamina and endurance. You might know it as Siberian Ginseng. Ashwagandha – This plant is similar to ginseng, being a powerful antioxidant proving to be beneficial for the nervous system, endocrine system and for cardiovascular problems. People with depression have been known to benefit from taking Ashwagandha and those people who live in the Himalayas have used it to enhance resistance to oxygen deprivation and also improve physical endurance. Astragalus – Astragalus is an herb, used for many conditions such as allergies, diabetes, and heart failure, also regulating and strengthening the immune system. Some just use it as a general tonic and to help fight off viruses and bacteria. According to Dr Group it helps with liver detox and protects the liver. Holy Basil aka Tulsi – Has anti-inflammatory and antimicrobial properties. Used for thousands of years to treat problems of the circulatory and immune systems as well as the nervous system. Research also suggests that holy basil can help protect the liver and support liver function making a valuable herbal addition to a detox diet. Cordyceps – This adaptogen is a medicinal mushroom, used for centuries to enhance the immune system. It also supports a healthy liver and detoxification. Studies have found it normalises liver enzymes, can inhibit steatohepatitis, a type of fatty liver disease, and retard cirrhosis. Reishi – Most of us know the Reishi mushrooms, best known for treatment of tiredness, cancer, heart disease, and respiratory complaints – a general immune booster. Chaga – known as the The King Healer Mushroom contains an abundance of beta glucans said to support everything from immune function to stress relief. Chaga has high levels of B-Vitamins, flavonoids, enzymes, zinc and phenols and contains some of the highest known concentrations of antioxidants of any food, such as melanin. It contains many nutrients needed for optimal function of the detox system. Rhodiola – Rhodiola strengthens the immune system, restores balance in blood sugar. It aids fertility, boosting alertness and lessening fatigue. It can also help to combat depression. Maca – This herb is also known as “Peruvian ginseng”, even though it has no connection to ginseng. It increases stamina, strength, and libido. The powdered root which comes in red, yellow and black varieties can be added to smoothies. Water hyssop – studies show that water hyssop can regulate your cortisol levels while you are under stress and to improve your cognitive performance when you face chronic stress. Licorice root – Increases energy, reducing stress and increasing endurance. When you look at all the above plants and their benefits, you must admit, they sound pretty amazing, don’t they? Who doesn’t want all that extra energy and to get rid of stress? All are backed by centuries of use. With the huge number of adaptogens available how to know which one to take, in which form or even which brand? How do you know from all the powders, the pills, the tablets and capsules which to choose? Some adaptogens—like Asian ginseng, eleuthero (or Siberian ginseng), rhodiola rosea, and maca stimulate the body, enhancing mental performance, mojo, and physical stamina. Others, like reishi, ashwagandha and holy basil, help calm the body and soothe the adrenals when they’re super stressed. Astragalus is another one that’s become popular lately, thanks to its immune-boosting and liver detox qualities. Well-known cardiologist and Eastern medical expert, Dr. Alejandro Junger, says that after working with adaptogens for some time, people usually can tell if the adaptogens work from the symptoms they have had. He adds that by trial and error, you can find the ones that suit you. You shouldn’t expect though to feel miraculous differences after only a few days. The key to success when taking these powerful herbs is consuming small amounts over time. It can take up to a few weeks to notice a difference. The most common and popular way of taking them if Instagram is anything to go by is as powders. You can add the powder to your smoothies, nut and seed milks, your home made snacks, and even your soups and stews. 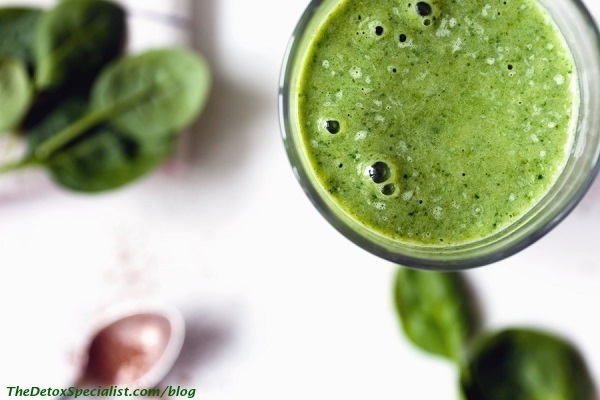 Here are some recipes using adaptogens that you can incorporate into your detox diet. Chaga is said to taste like coffee but can become bitter if steeped to long. 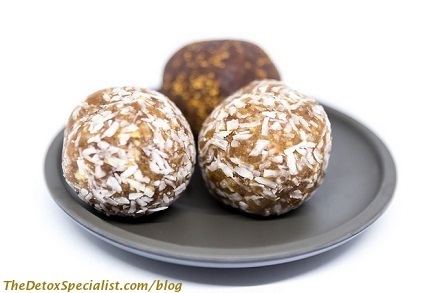 The addition of maca will give an extra boost of energy. Ashwagandha can taste slightly bitter, but the coconut milk, cherries and vanilla and give this nutritious drink just the right amount of sweetness. Put all ingredients into a high powered blender. Blend until very smooth. You may have to scrape down the sides of the blender jug with a rubber spatula several times. Put mixture into a serving a bowl and add the topping of your choice. Add all ingredients to a small saucepan and slowly bring to a boil over medium heat whisking to mix well. Simmer for about 5 minutes. If you like your latte frothy you can add the slightly cooled mixture to a blender and blend until frothy or use a small stick blender. 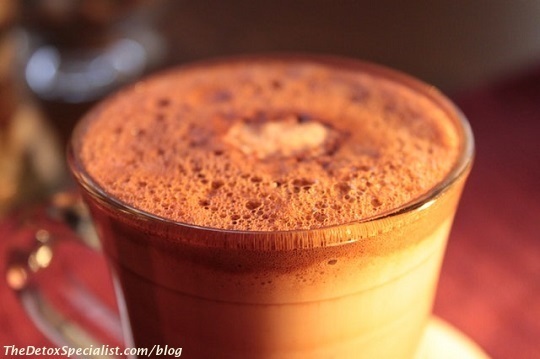 A warming chai is a wonderful way to get the digestive fire going in the morning. Grind the cinnamon, cardamom pods, cloves, anise, fennel seeds, and pippali together into a fine powder using a pestle and mortar or small electric spice grinder. Put 4 cups filtered water and the rest of the ingredients apart from the coconut milk into a saucepan. Bring them to a boil over medium heat, then reduce to a simmer, cover and continue to simmer for at least 10 minutes. Carefully pour the mixture through a strainer and discard the spices. Pour the tea into cups or bowls. Sip slowly and enjoy! You can add a little warmed coconut milk if you like. Place the raisins in a small bowl and cover with filtered water. Allow to soak for at least 10 minutes then drain well. Next put almonds and raisins in a food processor and process until they start to come together. Add the rest of the ingredients and process again until well mixed. Loosely form the mixture into small balls or clusters and place in the freezer for 20 minutes to firm up. When you’re feeling stressed out and anxious, then getting your life back in balance can be pretty challenging. Productive energy and calm focus can be all too elusive. Don’t be fed up with feeling ‘wired and tired’. Certain adaptogens can help you with that much-needed vitality and energy, but if you are looking for a truly holistic approach, you really need look at your diet and your lifestyle to receive more meaningful and long-term benefits.